Poker is one of the most popular card games world wide. So many people play poker that there are inevitably many variants to the game. Over the years, however, Texas Hold’em has become by far the most played and popular form of the game. Playing Texas Hold’em has become so widespread that people now assume it is the only, or the original form of the game, and that others are variants. This is not the case, however – there are many forms of poker played in the world, and no one can easily say which came first. One of the most popular of these other versions of the game is Omaha Hold’em poker. Omaha Hold’em poker is similar to Texas Hold’em, but with several interesting alternative factors, which make it a game that is not just worth an occasional foray, but could become your new poker game of choice. The clearest and most obvious difference between Omaha and Texas Hold’em is in the cards. In Omaha, the players receive four cards each in their hand, rather than the two players receive in Texas. There are still five cards on the table though. To win Omaha Hold’em, you make a winning hand using two of the cards in your hand, and three of those on the table – no more, no less. This is the crux of the Omaha Hold’em rules, but there are several implications to this change worth discussing. First to discuss is the massive difference in potential starting hand combinations between the two versions. In Texas Hold’em, there are only 169 possible starting hands, once you have factored in suits. However, in Omaha, the number rises staggeringly to 16,432. This huge rise in possible combinations means the game is much less easy to predict than Texas Hold’em. Secondly, because players only play two of their four cards, more players are able to keep up in the game for longer. Bluff is even more important in Omaha Hold’em basic strategy than in Texas Hold’em because of the sheer variation in cards possible. Finally, in Omaha Hold’em poker, the game changes and swings wildly – predicting a winner is much harder than in Texas, so keep playing, and don’t give up. In Omaha Hold’em, anyone can win, from almost any position. Omaha Hold’em is a game of greater chance than Texas, and may seem at first as if it is an impossible to predict game. However, it is still a type of poker, and skills from Texas Hold’em are easily transferable. It is still a community card game, and there are still four rounds of betting. Using your skills in reading people brought over from Texas Hold’em is always a major helper when starting out. One of the most important elements of Omaha Hold’em basic strategy is understanding the position of the game. Position is important in all forms of poker, but especially so in Omaha Hold’em. As most games are pot limited, having control over the pot is important. Players in late position have much greater control over the pot than those in early position. You don’t want to be raising the pot early in the game, as this will lessen your control later on. Having the best possible hand is very important. This may seem obvious, but as Omaha is such a fast action game, having ‘the nuts’ is key to victory. You have a much greater chance of having a bad hand in Omaha, as you have 4 cards. Because you are drawing cards so often, keep abreast of what is happening in the rest of the game. Don’t be afraid to fold in you have a bad hand. Omaha Hold’em poker can seem like a tough game to get into. With so many more variables than Texas Hold’em it can seem as if you have no idea what is going on. However, there is a reason that the game is so popular world wide, second only to Texas . Omaha Hold’em rules are just as easy to learn as Texas, and the game can be just as thrilling. Indeed, this being a game of action, Omaha Hold’em can be a much more exciting and changeable game, prone to massive swings in fortune. 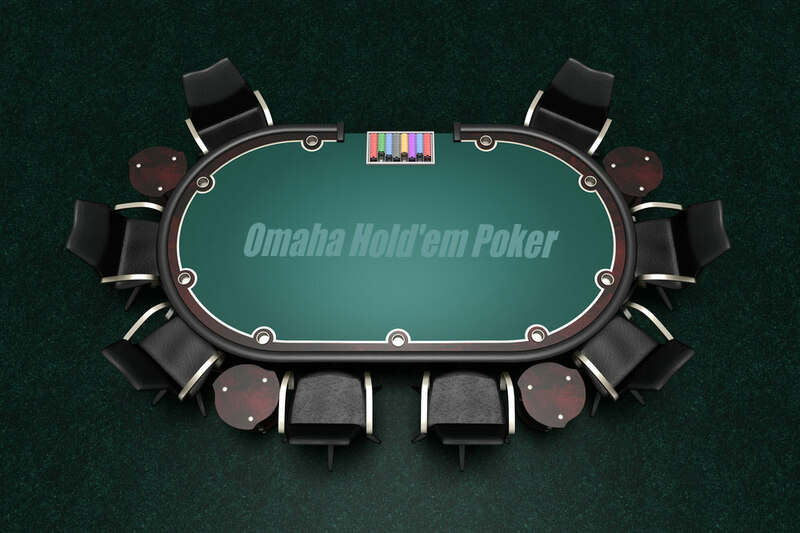 If you’ve ever felt that Texas Hold’em wasn’t exciting enough, or you want to risk the thrill and the opportunity to quickly build up massive winnings, then try Omaha Hold’em, and see what you have been missing out on.